There were only 2 rounds played so far and it's still very beginning of the Second Stage in Premier League. Here is the last round review presented by ESL. The biggest surprise of round 2 in Premier League took place in Nuwaidrat where host Al-Nweidrat (2-0) beat Sitra (1-1) 86-79 on Wednesday evening. Al-Nweidrat made 18-of-22 free shots (81.8 percent) during the game. The best player for the winners was American-Guamanian forward Curtis Washington (208-91, college: Georgia St., agency: Haylett Sports) who had a double-double by scoring 21 points and 15 rebounds. Hassan Abbas chipped in 25 points, 6 rebounds and 4 assists. 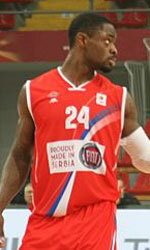 Senegalese center Mansour Kasse (208-92) produced a double-double by scoring 25 points and 18 rebounds for the guests. Both teams do not play next round, which will be an opportunity for some rest. Al-Najma (1-1) recorded a loss in Al Muharraq. Visitors were defeated by Al-Muharraq (1-1) 94-85. The former international center Chester Giles (211-85, college: Oregon St.) orchestrated the victory with a double-double by scoring 34 points (!!! ), 14 rebounds and 7 blocks. Bader Abdulla contributed with 24 points and 7 assists for the winners. American Kevin Rogers (206-86, college: Baylor) replied with 33 points (!!!) and 7 rebounds for Al-Najma. Al-Muharraq will play against Al-Ittihad (#5) in Manama in the next round. Al-Najma will play at home against Al-Riffa and it may be a tough game between close rivals. A very close game took place in Manama between Al-Ittihad and Al-Manama. Al-Ittihad (1-1) got a very close home victory over Al-Manama (1-1). Al-Ittihad managed to escape with a 2-point win 88-86 on Sunday evening. Ali Ghadeer scored 29 points and 5 rebounds to lead the charge for the winners. Wayne Chism responded with a double-double by scoring 27 points, 18 rebounds and 4 assists. Al-Ittihad will meet at home Al-Muharraq (#3) in the next round and it may be quite challenging game. Al-Manama will play against Al-Ahli and it may be a tough game between close rivals. The game in Riffa was also worth to mention about. Al-Ahli (2-0) played at the court of Al-Riffa (0-2). 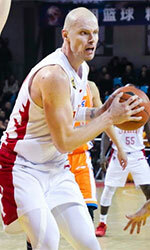 Al-Ahli managed to secure a 9-point victory 93-84. Marcel Jones notched a double-double by scoring 33 points (!!!) and 20 rebounds to lead the effort. Al-Riffa's coach Audrius Prakuraitis rotated ten players in this game, but that didn't help. Al-Ahli's next round opponent will be Al-Manama in Manama and it will be for sure the game of the week. Al-Riffa will play on the road against Al-Najma (#4) in Manama and it may be a tough game between close rivals. In the last game of round 2 In League winless Isa Town was defeated by Al-Hala in Muharraq 91-75. Al-Najma (1-1) recorded a loss in Al Muharraq. Visitors were defeated by Al-Muharraq (1-1) 94-85. Strangely Al-Najma outrebounded Al-Muharraq 42-30 including 31 on the defensive glass. Their players were unselfish on offense dishing 26 assists. Al-Muharraq brought some defensive toughness making 8 blocks. The former international center Chester Giles (211-85, college: Oregon St.) orchestrated the victory with a double-double by scoring 34 points (!!! ), 14 rebounds and 7 blocks. Bader Abdulla contributed with 24 points and 7 assists for the winners. Four Al-Muharraq players scored in double figures. American Kevin Rogers (206-86, college: Baylor) replied with 33 points (!!!) and 7 rebounds and international Mohamed Buallay (-95) added 21 points, 8 rebounds and 9 assists in the effort for Al-Najma. Al-Muharraq will play against Al-Ittihad (#5) in Manama in the next round. Al-Najma will play at home against Al-Riffa and it may be a tough game between close rivals. A very close game took place in Manama between Al-Ittihad and Al-Manama. Al-Ittihad (1-1) got a very close home victory over Al-Manama (1-1). Al-Ittihad managed to escape with a 2-point win 88-86 on Sunday evening. Strangely Al-Manama outrebounded Al-Ittihad 44-29 including 33 on the defensive glass. They looked well-organized offensively handing out 23 assists. Ali Ghadeer scored 29 points and 5 rebounds to lead the charge for the winners and Bosnian-Serbian center Mile Ilic (215-84) chipped in 20 points, 9 rebounds and 5 assists during the contest. International Wayne Chism (206-87, college: Tennessee) responded with a double-double by scoring 27 points, 18 rebounds and 4 assists and the former international forward Ahmed Ismaeel (203-90) scored 16 points and 8 assists. Both teams had four players each who scored in double figures. Al-Ittihad will meet at home Al-Muharraq (#3) in the next round and it may be quite challenging game. Al-Manama will play against Al-Ahli and it may be a tough game between close rivals. The game in Riffa was also worth to mention about. Al-Ahli (2-0) played at the court of Al-Riffa (0-2). Al-Ahli managed to secure a 9-point victory 93-84. American-New Zealand forward Marcel Jones (203-85, college: Oregon St.) notched a double-double by scoring 33 points (!!!) and 20 rebounds to lead the effort and the former international forward Hesham Sarhan (-92) supported him with 14 points and 5 assists. Five Al-Ahli players scored in double figures. Even a double-double of 24 points, 10 rebounds and 6 assists by the former international guard Mohamed Kawaid (-89) did not help to save the game for Al-Riffa. The former international forward Yunes Kawaid (-88) added 19 points and 4 assists for the hosts. Al-Riffa's coach Audrius Prakuraitis rotated ten players in this game, but that didn't help. Al-Ahli's next round opponent will be Al-Manama in Manama and it will be for sure the game of the week. Al-Riffa will play on the road against Al-Najma (#4) in Manama and it may be a tough game between close rivals. Al-Hala used a home court advantage and beat the opponent from Issa Town 91-75. Al-Hala dominated down low during the game scoring 60 of its points in the paint compared to Isa Town's 38. Their players were unselfish on offense dishing 22 assists. British power forward Ryan Richards (212-91, agency: Interperformances) notched a double-double by scoring 26 points, 20 rebounds and 5 assists to lead the effort and international Hasan Gerashi supported him with 25 points and 7 rebounds. Four Al-Hala players scored in double figures. Even 38 points (!!! ), 8 rebounds and 7 assists (was perfect 9-for-9 from the free throw line !!!) by Tunisian Ahmed Salman did not help to save the game for Isa Town. Mohsen Mahdi added 14 points and 4 assists for the guests. Isa Town's coach tested ten players seeing no chance for a win. Both teams do not play next round, which will be an opportunity for some rest. The biggest surprise of round 2 in Premier League took place in Nuwaidrat where host Al-Nweidrat (2-0) beat Sitra (1-1) 86-79 on Wednesday evening. Al-Nweidrat made 18-of-22 free shots (81.8 percent) during the game. The best player for the winners was American-Guamanian forward Curtis Washington (208-91, college: Georgia St., agency: Haylett Sports) who had a double-double by scoring 21 points and 15 rebounds. Hassan Abbas chipped in 25 points, 6 rebounds and 4 assists. Four Al-Nweidrat players scored in double figures. Senegalese center Mansour Kasse (208-92) produced a double-double by scoring 25 points and 18 rebounds and the former international guard Hussain Taqi (173-78) added 17 points, 6 rebounds and 8 assists respectively for the guests. Both teams do not play next round, which will be an opportunity for some rest.